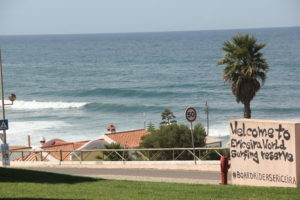 Ericeira is located on the westernmost tip of continental Portugal. 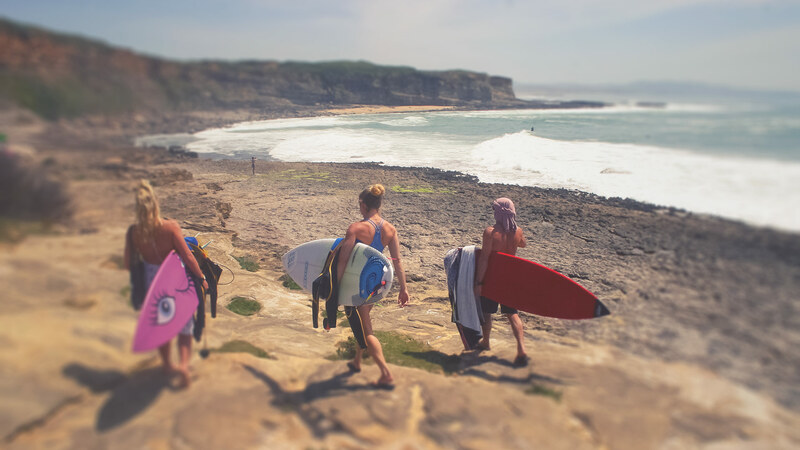 The town has strong seafaring traditions and has a rich history as a stepping stone for legendary explorations, adventurers and voyagers and is an ideal location for a Portugal Surf Trip. This old fishing community of Ericeira is picturesquely draped across sandstone cliffs, floating above the Atlantic Ocean. 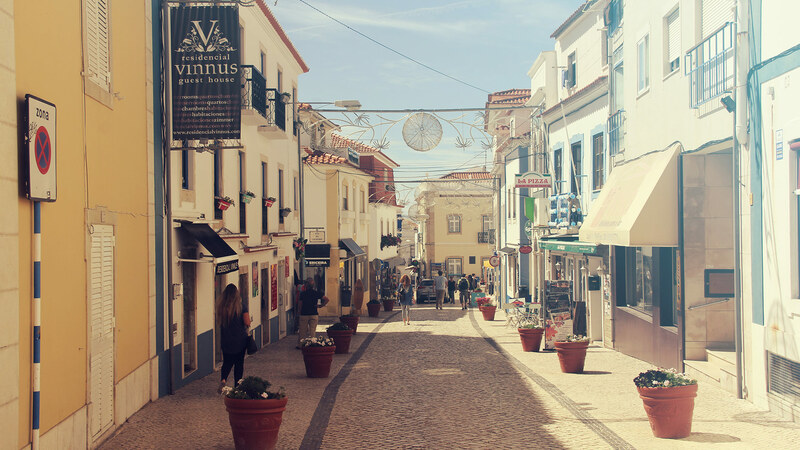 The traditional whitewashed town is popular with Portuguese tourists seeking a quick weekend getaway and is equally renowned for spectacular ocean vistas and excellent seafood restaurants. Ericeira is one of Europe’s prime surfing destinations and was designated as one of nine World Surfing Reserves around the globe. 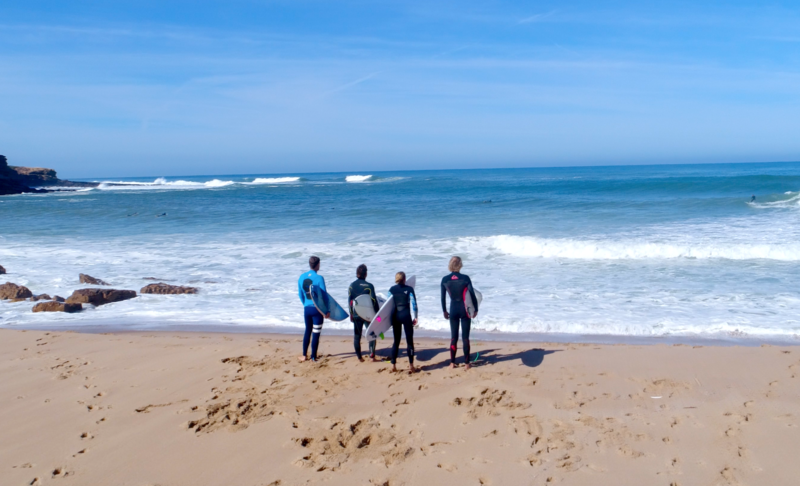 Wave riders from all over the world come here for the great waves of all levels – from beginner beach breaks such as Foz do Lizandro to world famous reef breaks like Ribeira de Ilhas. 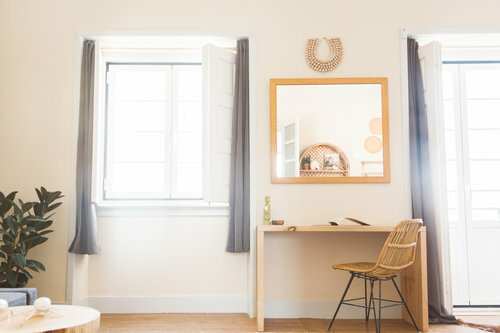 We have chosen a boutique style surf-lodge which is located in the historic centre of Ericeira – a recently lovely renovated old town house from 1950’s. The rooms and lodge is entirely inspired by the Atlantic. 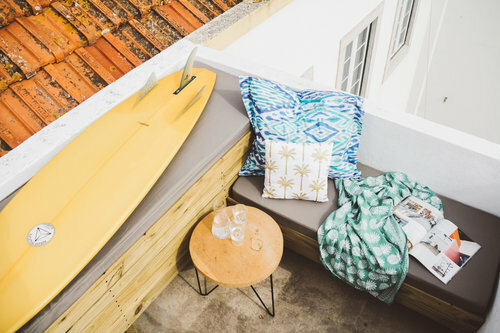 You will find little pieces from the sea decorated here and there or a large collection of Retro Style Surfboards in various shapes, constructions or tails. 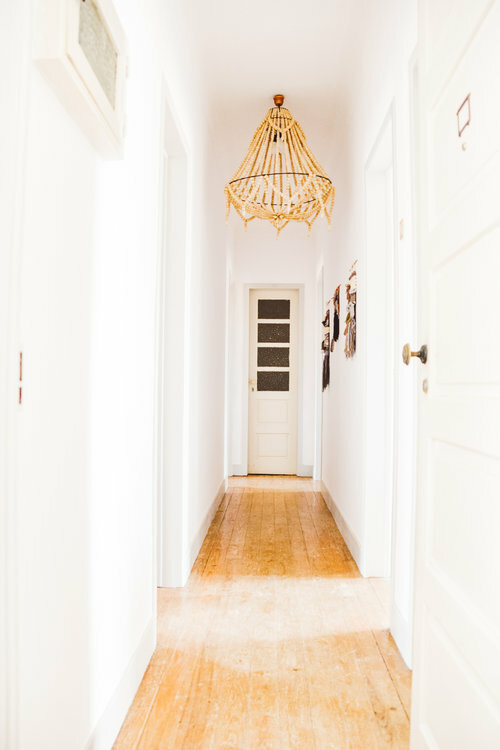 The lodge is just a few steps away from the central Praça the restaurants, bars or shops. 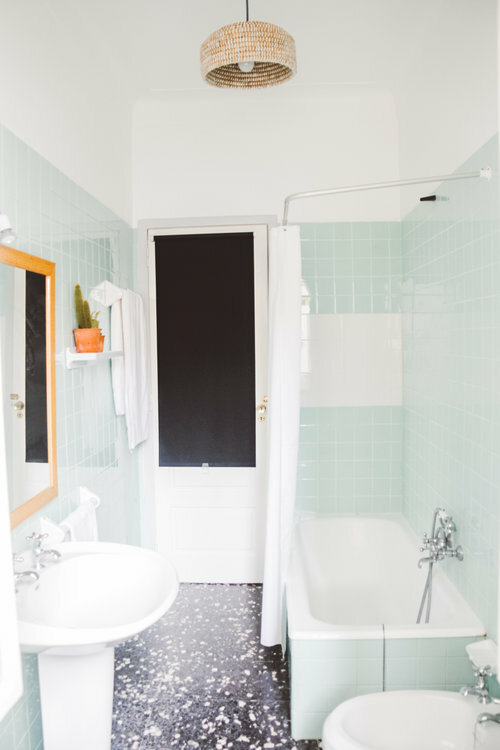 The rooms vary from single rooms to double / twin rooms. So, it is your choice – just let us know. 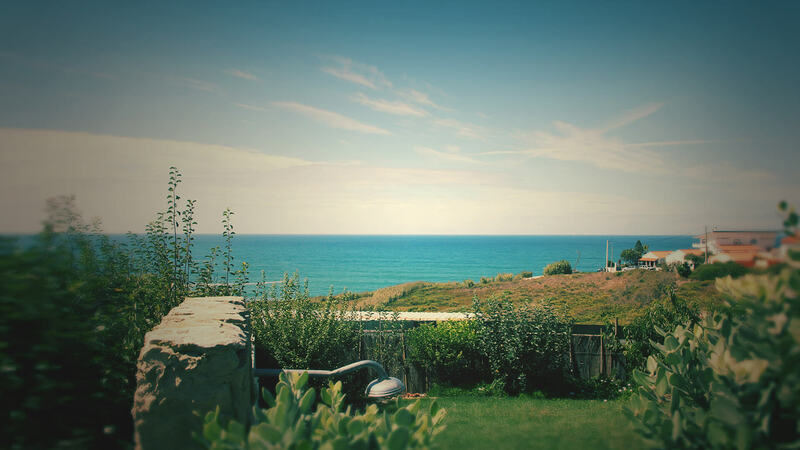 Breakfast is included in all packages, but due to the many options for lunch and evening meals in and around Ericeira, we allow our guests to explore the scene as a group or by themselves. At the main square Praça da República in the centre of town you can find a small museum of the World Surfing Reserve and all the different breaks in the area and the tourist information as well. Go walking in the centre of the village and fill its pulse. Also go to the seafront, near the main hotel, and see the old seafood nurseries. Nowadays they are obsolete, but in ancient times this place was where they breed the lobsters and sea urchins that served all the village restaurants. Since you’re wandering the village’s centre, go to the harbour. It was from this harbour that the last Portuguese king fled in exile to Brazil with the beginning of the Republic period. Other sport activities you can do is Skateboarding in the Skate Park just at our surf centre, go Mountain Biking in the Sierra da Sintra or just hiking along the beaches – we are always happy to support you with any tips and hints – just ask us!